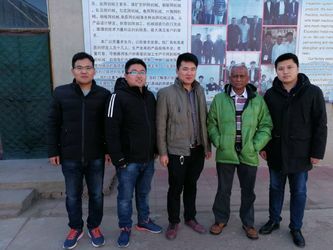 Anping Molonggang Spot Welding Equipment Company Limited, founded in 1990 located in Anping County--the biggest hometown of wire mesh in China. 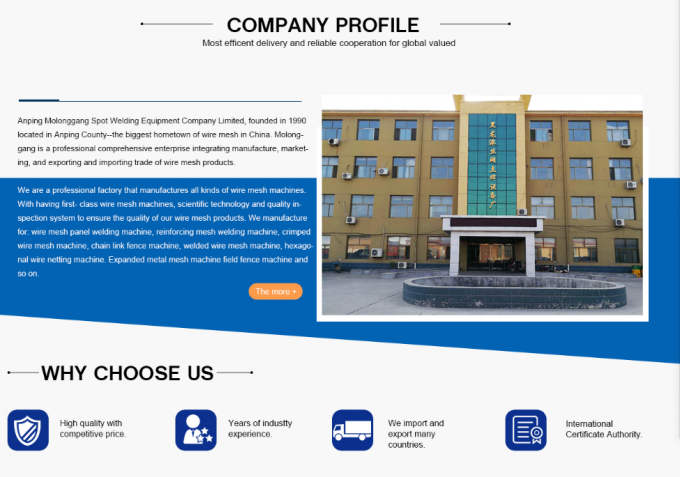 Molonggang is a professional comprehensive enterprise integrating manufacture, marketing, and exporting and importing trade of wire mesh products. 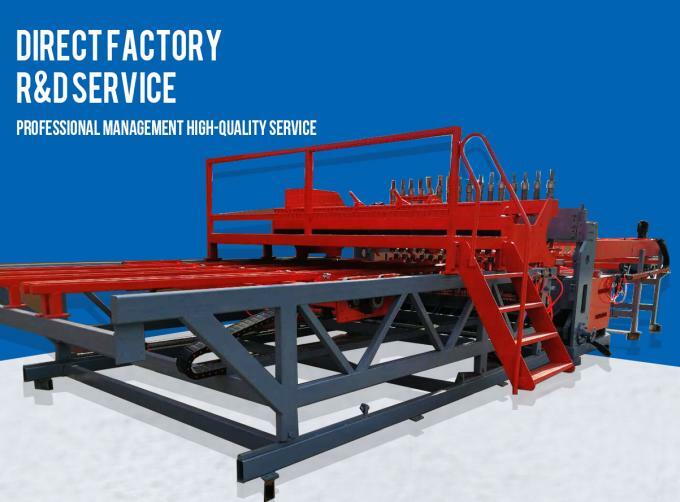 We are a professional factory that manufactures all kinds of wire mesh machines. 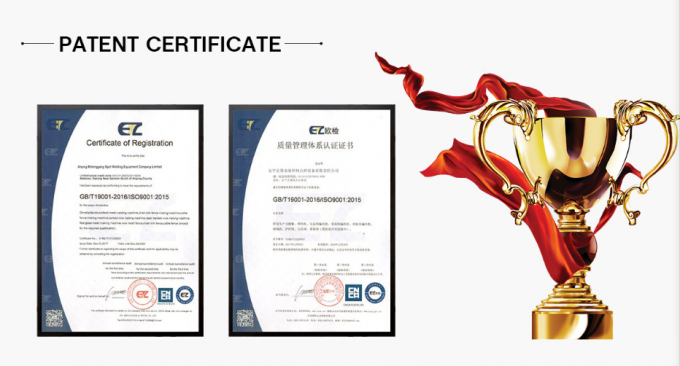 With having first- class wire mesh machines, scientific technology and quality inspection system to ensure the quality of our wire mesh products. 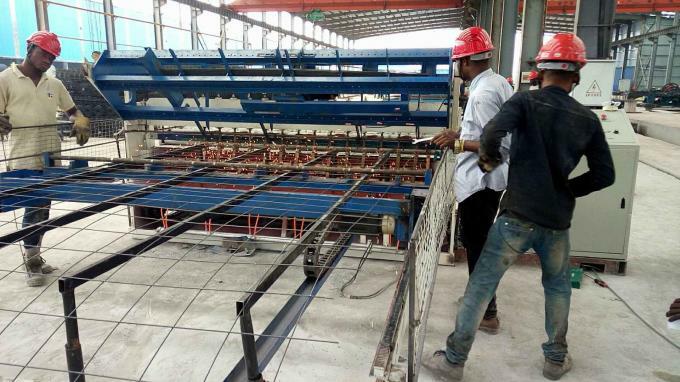 We manufacture for: Automatic welded mesh welding machine, automatic concrete reinforcing mesh welding machine, full automatic chain link fence machine, full automatic welded wire mesh machine, hexagonal wire netting machine. 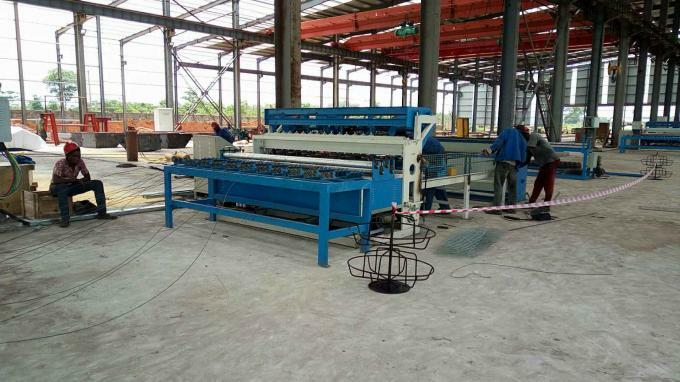 Expanded metal mesh machine, field fence machine and so on. We can manufacture complete product design, part working and machine assemble, strong technical strengthen and immediate service can meet customer’s need. 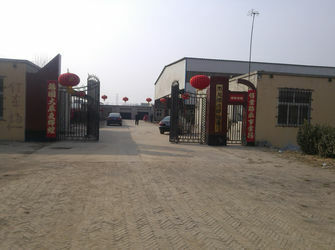 Our factory seeks existence by quality and development by reputation. We have more than 10 researchers with high skills; the product by our machine has various kinds and high quality. We can manufacture different specifications according to the clients’ demand. So far, we have established long-term business relationship with Russian, Iran, Vietnam，Jordan, Saudi Arabia,Oman, Nigeria, Indonesia,Philippines and other countries and areas. Get a high reputation. We pay attention to communicating with customers actively. 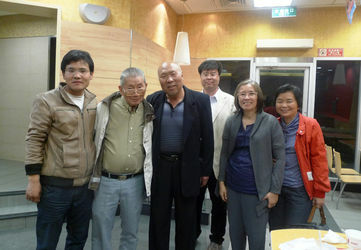 To get to know the customers’ demand and offer excellent service, we sincerely expect to establish friendly business relationship with the customers from all over the world. 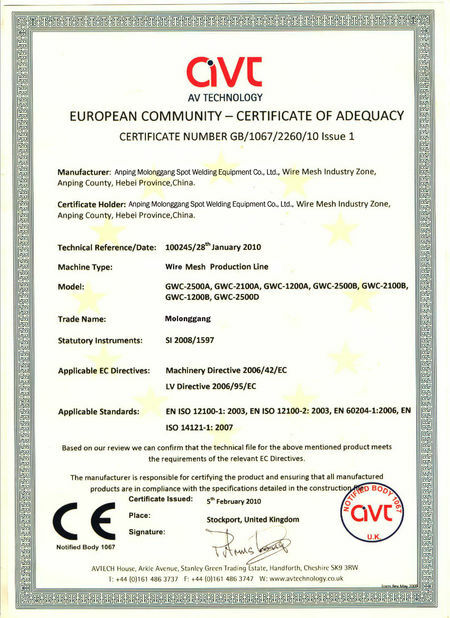 Anping Molonggang Spot Welding Equipment Company Limited, founded in 1990 located in Anping County--the biggest hometown of wire mesh in China. 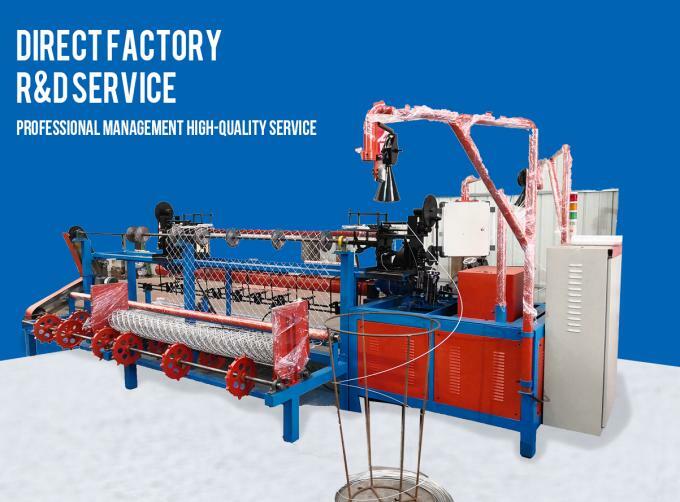 Molonggang is a professional comprehensive enterprise integrating manufacture, marketing, and exporting and importing trade of wire mesh machines. 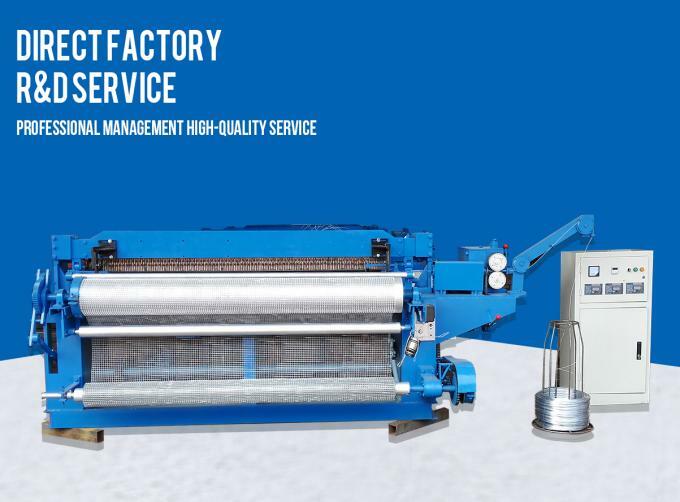 We are a professional factory that manufactures all kinds of wire mesh machines. 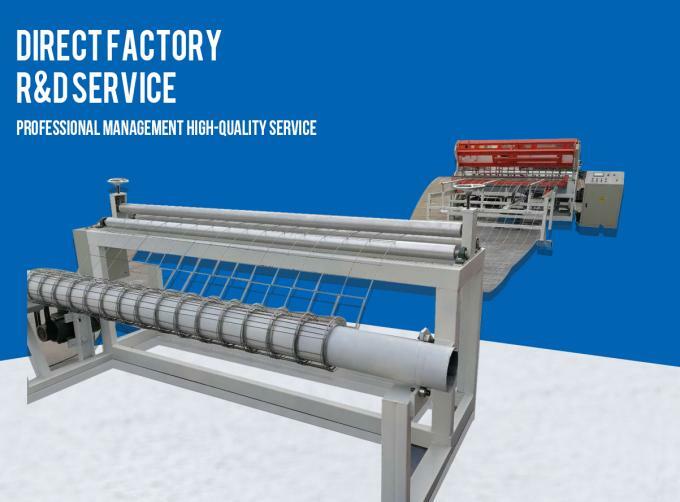 With having first- class wire mesh machines, scientific technology and quality inspection system to ensure the quality of our wire mesh products. 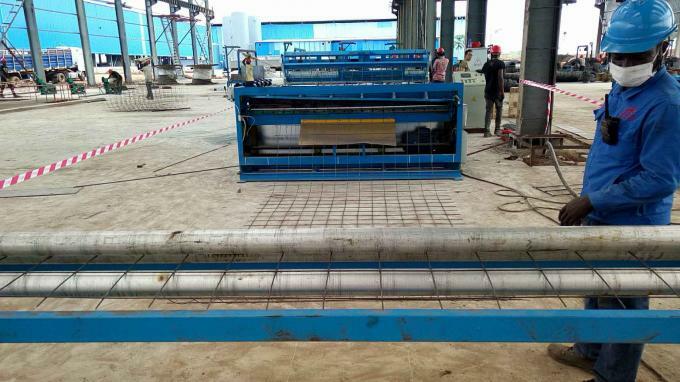 We manufacture for: wire mesh panel welding machine, reinforcing mesh welding machine, crimped wire mesh machine, chain link fence machine, welded wire mesh machine, hexagonal wire netting machine. Expanded metal mesh machine field fence machine and so on. We can manufacture complete product design, part working and machine assemble, strong technical strengthen and immediate service can meet customer’s need. 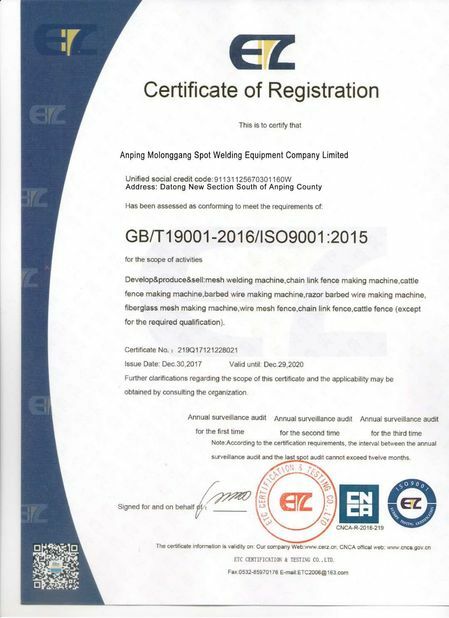 Anping Molonggang Spot Welding Equipment Company Limited --Our factory seeks existence by quality and development by reputation. We have more than 30 researchers with high skills; and 50 staffs. We have more than 20 salesmen. The product by our machine has various kinds and high quality. 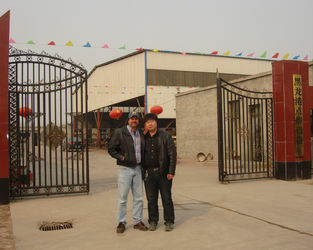 We can manufacture different specifications according to the clients’ demand. 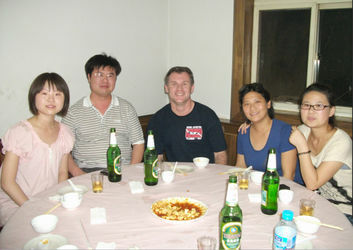 So far, we have established long-term business relationship with USA, Russian, Iran, Vietnam and other areas. Get high reputation.